Games converted with a Merlin MultiROM board must follow Merlin's DIP switch charts, which also vary between the firmware revisions for each Merlin model. Please find the chart for your matching firmware for your matching Merlin model at the LaserCon site. Space Ace DIP Switch Remap ROM - (for USA / Cinematronics) - Made in 2002, this ROM reassigns DIP switch functions to match those of Dragon's Lair. DL/SA Combo ROM - (for USA / Cinematronics) - Made in 2002, this ROM holds both Dragon's Lair & Space Ace on the same set of chips. Space Ace Enhancement ROM - (for USA / Cinematronics) - Made in 2002, these ROMs make use of the laserdisc's full potential. Diagnostics ROM Package - (for USA / Cinematronics) - Made in 2018, this ROM aids with PCB troubleshooting - also contains the 1983 Cinematronics diagnostics archive. Standard LD-V1000 firmware required - The LD-V1000 players that were used in the game Badlands contain firmware that was modified by Konami. The EPROM in these players must be restored to Pioneer's original firmware to work in Space Ace. Download the standard Pioneer LD-V1000 EPROM image. Conversion Cards - The original Pioneer PR-7820, Pioneer LD-V1000, and Philips 22VP932 laserdisc players are not natively compatible with any other model, making direct substitution impossible. Several products have been developed over the years to allow replacement/upgrade of the laserdisc player. LaserCon is a laserdisc player conversion card that allows the PR-7820, LD-V1000, and 22VP932 laserdisc players to be replaced with newer supported Pioneer players. The original LaserCon is no longer in production. Also from LaserCon, Merlin-8000 is a MultiROM board that performs laserdisc player model conversion at the source, by altering the communication protocols within the Space Ace ROM, as opposed to intercepting and then converting the original signal outputs, which costs processing time. Multiple Pioneer models are supported. The Hi-Tech conversion card allows the original Pioneer laserdisc players to be replaced with newer Sony laserdisc player models. PC Conversion - This do-it-yourself document instructs how to install a desktop PC, and the accompanying software download, into your game cabinet to convert it from the Pioneer LD-V1000 to a Sony laserdisc player. Diagnostics ROM Package - To aid with PCB troubleshooting, Shaun Wood offers an improved Diagnostics ROM Redo, which also contains the archive of the original, flawed Cinematronics diagnostics package. Merlin MultiROM - Merlin is a direct replacement for the original EPROM board used in Dragon's Lair and Space Ace. It includes Dragon's Lair rev. F2, Space Ace rev. A3, DLE, SAE, and DL2E. Merlin allows ROMs to be swapped by using the joystick and button. For more information, check the LaserCon site. Arthur PCB Replacement - Arthur is a replacement main logic board for Dragon's Lair and Space Ace. The circuitry for the ROMs and the Space Ace annunciator are integrated onto one main PCB. Arthur also has all the functionality of the previous Merlin MultiROM products built in. For more information, check the LaserCon site. European Versions - Space Ace was licensed to Atari for production and manufacturing in Europe. The cabinet is very similar to the Cinematronics release, but the hardware, including the laserdisc player, is totally different. Atari sub-licensed Space Ace to Sidam for production and manufacturing in Italy. Most of the hardware for the Sidam version is the same as the Atari version, but the cabinet design is completely different. Space Ace ('91) was licensed to Atari for production and manufacturing in Europe. Atari sub-licensed Space Ace ('91) to Elettronolo for production and manufacturing in Italy. Most of the hardware for the Elettronolo version was the same as the Atari version, as well as the cabinet itself.  DIP Switch Remap - With this replacement ROM image, your Space Ace DIP switch settings will be more closely matched to Dragon's Lair. Also, the skill level selection can now be set via DIP switch. 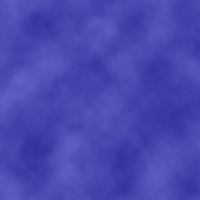 See the Space Ace DIP Switch Remap page. Monitor Swap - If the monitor in your Dragon's Lair, Space Ace, or Thayer's Quest is not up to your liking, you can replace it with a 19" TV. The Monitor to TV Swap page will show you everything you need to know. 68705 Bypass Mod - An update for older rev. A Dragon's Lair/Space Ace PCBs. See the 68705 Bypass Modification page for more information. Volume Control Hack - Now you can adjust the volume of the joystick feedback sound in Dragon's Lair or Space Ace if it is too loud or soft for your environment. Check out Shaun Wood's Dragon's Lair Volume Control Hack. Interchangeability - Dragon's Lair can be played in a Space Ace cabinet simply by changing the laserdisc and the EPROMS. Dragon's Lair II had a conversion kit for Space Ace ('91). The kit included a Space Ace ('91) laserdisc, control panel overlay, marquee, two "fire" buttons, and one EPROM containing the Leland ROM image above. 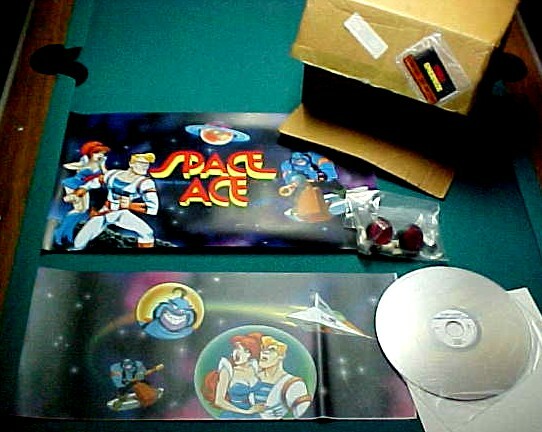 The animation stored on the Space Ace ('91) laserdisc is the same as the original Space Ace ('83) version, but the discs are not directly compatible with each other. The video footage is not aligned on the same track/frame numbers. Engineering Mode - Engineering mode was designed to let the engineers play-test a scene without having to play through the whole game. To learn more about this, see Jeff Kulczycki's info on the Engineering Mode for Space Ace.